Have you ever noticed that if there is one consistent characteristic of a Garden Lover, it's the desire to share: the beauty, the knowledge, the produce, even the cuttings? So perhaps that's part of the reason why Garden Festivals & Shows are so popular, the world over. 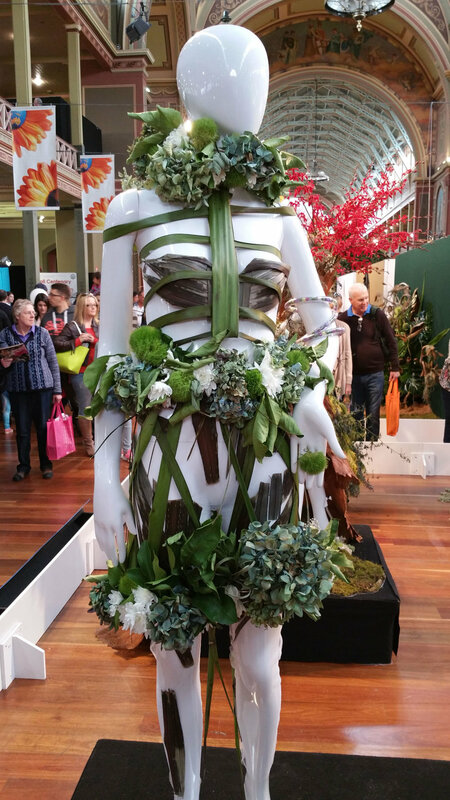 It's no secret to regular readers just how much I love going to the annual Melbourne International Flower & Garden Show each Autumn, and just how much I love to share the inspirational images which I find there. How wonderful is the expression of delighted admiration on this gentleman's face? His expression mirrored that of most of the visitors to the garden show this year. Another of my Local Heroes: Joost...the man's imagination, common sense and optimism for the future is boundless. 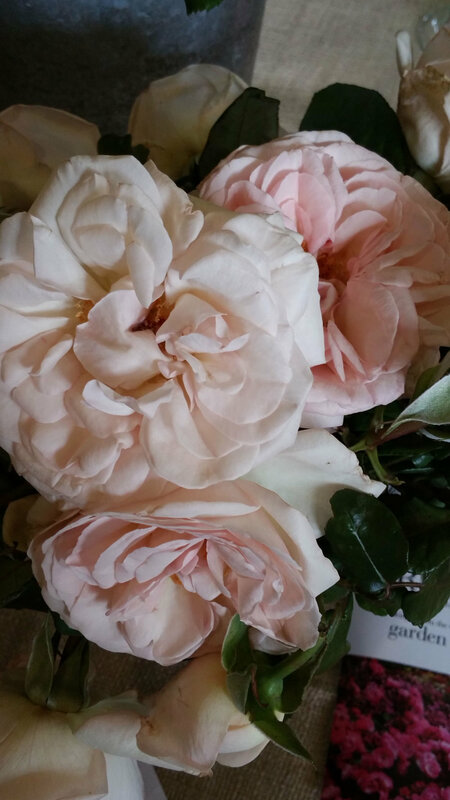 Growing fabulous flowers is just one of the many parts of this modern day Renaissance Man...If you haven't heard of him, do look him up! Noting more and more burgundy toned leaves appearing in garden design over the last few years. It's a trend I personally love. 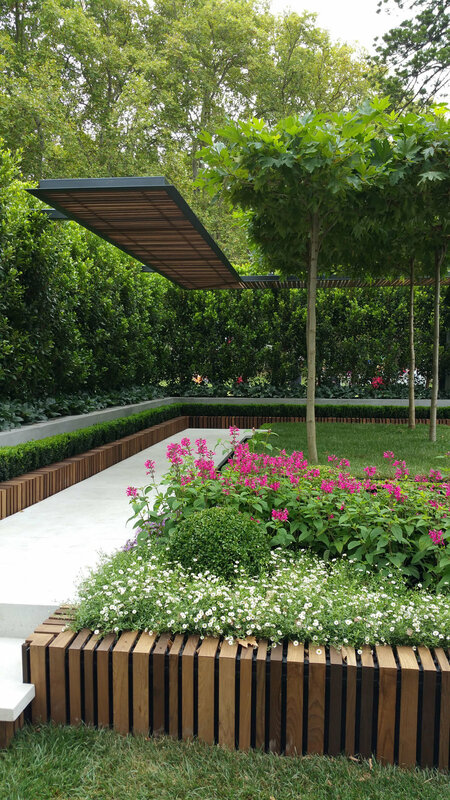 Crossroads Garden by Ian Barker Gardens won Gold, and showcased the more naturalistic trend of landscaping. This garden was very popular with the bees as well as the visitors! It was very tranquil. Leaves in russet, burgundy and all shades of red. Flowers in red too! replaced with softened edges of plants falling over the borders. Colour - (welcome back to colour too). Mixing edibles in with ornamentals in the same garden bed. continued cross-pollination of flowers by native insects. This thoughtful garden won a Silver Medal, although I would personally have awarded it a Gold Medal because of the importance of highlighting the current issues facing bees around the world, through increased use of agricultural chemicals and lack of flowers. This is an issue we can all do something about, by simply planting more flowers in our gardens and thinking about where our food comes from. Poppies knitted by locals for the 100 year anniversary of the Gallipoli Landing on April 25, 1914. The poppies were "planted" in an otherwise indigenous garden of Eucalpytus, Banksias and Grevilleas. Thousands and thousands of people have passed through this glorious building each year at the MIFG Show, some to gain knowledge, some to gain inspiration, and some to simply drink in all the beauty of the wonders of plants. As plants are our single most precious resource on the planet, without whom we could not breathe, eat or survive, a passion for plants is certainly something worth sharing.